Last year’s brutal video of the Baltimore Ravens’ Ray Rice punching his then-fiance in an elevator shined a much-needed spotlight on the problem of domestic violence in the NFL. What needs to share part of that spotlight is the mistreatment of animals by some NFL players, especially since animal abuse is linked to domestic violence. According to the American Humane Association, a majority (68 percent) of battered women also reported violence against their pets. Thirteen percent of intentional animal abuse cases involved domestic violence. The NFL does seem to be making an effort to invoke a zero-tolerance policy for animal abusers – with the glaring exception of the most notorious abuser of them all, Michael Vick, who was signed by the Pittsburgh Steelers in August. This year alone, four other NFL players have been accused of abusing or killing animals. Appropriately, three of them were immediately dumped by their respective teams; one had already retired. All five of these players belong in the 2015 NFL Animal Abusers Hall of Shame. Much to the disgust of many animal lovers, Michael Vick, who, as everyone probably knows, served 18 months in prison after being convicted in 2007 for illegal dog fighting, continues to enjoy lucrative employment by the NFL. When people protested Vick’s signing by the Steelers, his supporters argued that since he’s done the time for his crime, it’s time for us to get over it. Even President Obama praised Philadelphia Eagles owner Jeffrey Lurie back in 2010 for giving Vick a second chance. Sorry, Vick fans, but these chilling facts make it impossible to forgive and forget what he did. Terrence Cody was cut from the Baltimore Ravens in February, the same day a Baltimore County grand jury indictment alleged the defensive tackle “intentionally tortured” and “cruelly killed” his Presa Canario by letting the dog starve to death. Along with these two felony counts, Cody is facing 13 other charges, including the illegal importation and subsequent neglect of an alligator. Cody is scheduled to appear in court in November. If found guilty, he faces up to six years in jail and $10,000 in fines on the felony charges alone. In May, Prince Shembo of the Atlanta Falcons was convicted of felony aggravated cruelty to animals after he kicked his girlfriend’s Yorkie, Dior, killing the dog. The 260-pound linebacker’s excuse? The 7-pound dog was barking and allegedly bit him. (The police report includes a long list of horrific injuries suffered by little Dior). The Falcons immediately let Shembo go. Three months later, Shembo successfully pleaded his way out of the felony charge, getting his killing of Dior reduced to simply a misdemeanor (it was self defense — she bit him) and paying a modest fine. Now that – just like Dior – the felony charge was dead and gone, the Falcons actually considered welcoming the dog killer back to the team. Fortunately, they changed their minds. Police in Burlington, N.C., received an anonymous call in February about animal cruelty at the home of Dwight Jones, a former wide receiver with the New York Jets’ practice squad. When officers arrived at the house, they found two Pit Bull mixes outside in 14-degree weather. One of the dogs was already dead; he had collapsed halfway outside his dog house. The other was starving and taken away by animal services. Neither dog had been fed for weeks. Jones was arrested and charged with felony animal cruelty for killing an animal by starvation, the Times-News reported. Chris Kemoeatu, formerly with the Pittsburgh Steelers, and his brother, Ma’ake, a former Baltimore Raven, both helped lead their teams to Super Bowl victories. The brothers made national headlines in 2014 when Ma’ake donated a kidney to Chris to help save his life. The Kemoeatu brothers were in the news again this year, but for a less noble reason. In November 2014, before returning home to Hawaii, Chris left Zeus, his Cane Corso, at a pet boarding facility in Baltimore. Ten months later, Zeus is still there, and the boarding and veterinary bills are piling up – they are now over $11,000, WTAE reports. His agent has promised the kennel owner, Keith Mason, that Chris will come for Zeus this month, but Mason is skeptical. UGH! These people are disgusting! NFL is not doing near enough. Why was Vick allowed back? For that matter ANY of them. The NFL is condoning these actions by bringing the creeps back. I used to like football but don't have the stomach for it any more. 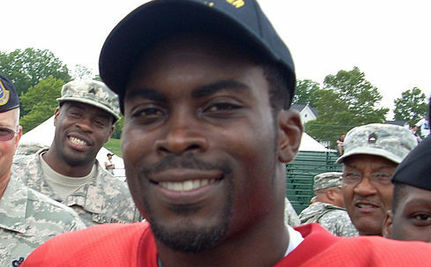 Vick should have fried...and then that phony community service on treatment of animals... give me a break. Then for him to be able to turn around and have another animal in the house - "for his kids". Yea, so he can teach them how to abuse. Considering how the league treats its players, We can be furious and disappointed about this but not surprised.